President Donald Trump defended his actions pursuing a business deal in Russia, calling it "very legal & very cool" as he woke up in Argentina on Friday morning to start his day at the G-20 summit. In a pair of tweets, Trump reiterated his defense from Thursday saying he was doing nothing wrong in running his business during the 2016 presidential campaign. The controversy over Trump pursuing construction of a Trump Tower in Russia bubbled to the surface after his former personal attorney Michael Cohen pleaded guilty to making false statements about his involvement in pursuing the deal. Trump tweeted: "I am a very good developer, happily living my life, when I see our Country going in the wrong direction (to put it mildly). Against all odds, I decide to run for President & continue to run my business-very legal & very cool, talked about it on the campaign trail. Lightly looked at doing a building somewhere in Russia. Put up zero money, zero guarantees and didn’t do the project. Witch Hunt!" Trump called Cohen a "weak person" shortly after news broke earlier Thursday that Cohen had pleaded guilty to making false statements to Congress in a deal with special counsel Robert Mueller -- a groundbreaking development in the investigation into whether the Trump campaign colluded with Russia during the 2016 election. "He's a liar," Trump said as he left the White House for a summit in Argentina. "He's a weak person and what he's trying to do is get a reduced sentence." 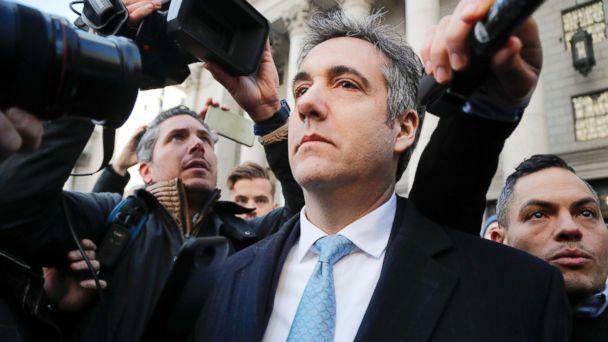 Cohen appeared in federal court in Manhattan Thursday where he entered a guilty plea to making misstatements to Congress in closed-door testimony last year about his contacts with Russians during the 2016 presidential campaign. "What he's trying to do, because he's a weak person and not a very smart person, what he's trying to do is end -- and it's very simple, he's got himself a big prison sentence and he's trying to get a much lesser prison sentence by making up a story," Trump said, speaking to reporters on the White House South Lawn before getting on his helicopter. Cohen's dealings while serving as a senior executive in Trump’s global empire include several projects thought to be of interest to Mueller’s prosecutors, most notably the pursuit of a Trump Tower project in Moscow during the presidential campaign. According to court documents, Cohen falsely told Congress the Moscow project ended in January 2016. He then continued to look into business plans on that deal, according to the court filing. Cohen made false statements "in hopes of limiting the ongoing Russia investigations," according to the filing signed by Mueller. Trump said Cohen was lying about the project details and insisted there would not have been anything wrong with continuing business dealings during the campaign. "Now, here's the thing, even if he was right, it doesn't matter, because I was allowed to do whatever I wanted during the campaign," Trump said. "There was a good chance that I wouldn't have won, in which case I would have gotten back into the business and why should I lose lots of opportunities?" Trump said. 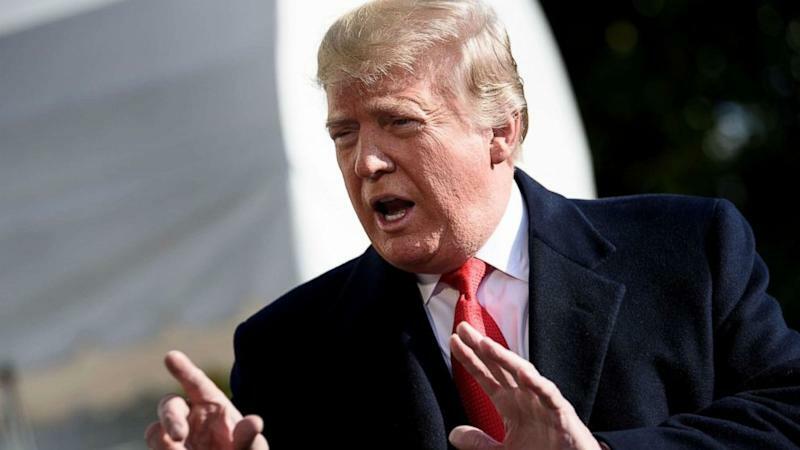 Trump said he ultimately decided to pass on the project "for a lot of reasons," but primarily because he was focused on running for president. "It lasted a short period of time. I didn't do the project. I decided not to do the project, so I didn't do it," Trump said. "This deal was a very public deal. Everybody knows about this deal. I wasn't trying to hide anything, okay?" When asked why, if Cohen is "weak" and a "liar," the president kept a close relationship with him for over a decade, Trump gave a vague response. "Because a long time ago he did me a favor. A long time ago he did me a favor," Trump said. Despite the plea deal, Trump said he's "not worried at all" about what Cohen might be telling Mueller. Cohen has spent more than 70 hours in interviews with Mueller's team since coming to another plea deal in August with federal prosecutors in the Southern District of New York that in which Cohen implicated Trump in campaign finance felonies. 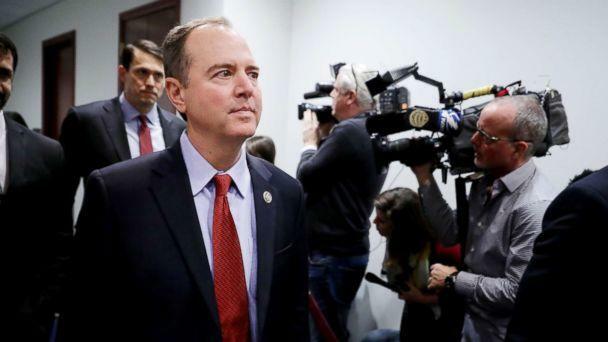 Speaking to reporters on Capitol Hill, Democratic Rep. Adam Schiff, the incoming chairman of the House Intelligence Committee, called Thursday's news a "very significant plea and statement." "It means that when the president was representing during the campaign that he had no business interests in Russia, that that wasn’t true, and when Mr. Cohen testified before our committee, as well as the Senate, and made representations about when the business dealing with Russia stopped, that wasn’t true," Schiff said. "This, I think, only underscores the importance of our bringing back Mr. Cohen before our committee, but also looking into this issue of whether the Russians possess financial leverage over the president of the United States," he said. Trump, as he did Thursday, has previously denied that he has any business deals with Russia, tweeting shortly before he was inaugurated, "I HAVE NOTHING TO DO WITH RUSSIA -- NO DEALS, NO LOANS, NO NOTHING!"